Many of us either remember or have owned a Mathmos lava lamp. I personally owned a purple one that I used until the lava turned into tiny little clumps that wouldn’t go back together to form its original nice and flowing form. 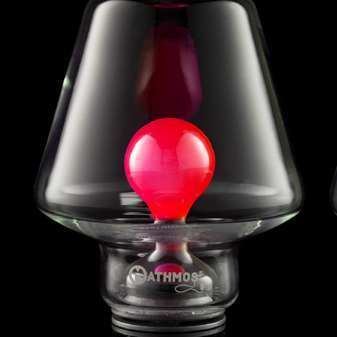 Well Mathmos has created a new lamp that seems like a slightly more modern and fun lighting solution. However, it does seem quite a bit more boring than the lava lamps. The lava lamps had that cool moving lava, this just has a colored light bulb. Alright, so it is more complicated than that. The bulb is a chrome metal bulb that changes colors with internal LEDs. The cover around it is mouth-blown glass. To turn on the lamp you just shove down on the top of it. Once you do it will fade gently from red to pink to purple then onto blue. The site claims it is much more mesmerizing than your average colored light bulb. Although I am extremely perplexed as to how it is in anyway different. It is meant to set a nice soothing mood, so likely it doesn’t flash away like a strobe light. Unfortunately, they are all sold out for those of us in the US, however, you can snag one through Firebox’s UK site for just under $55.